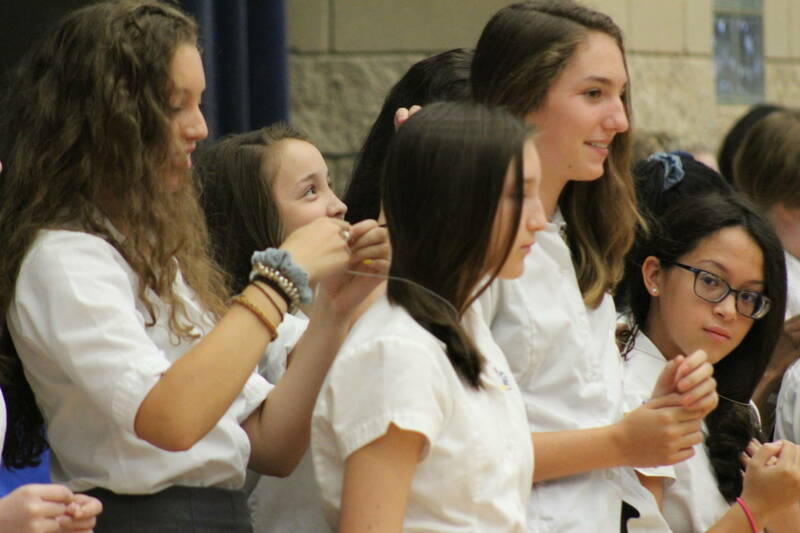 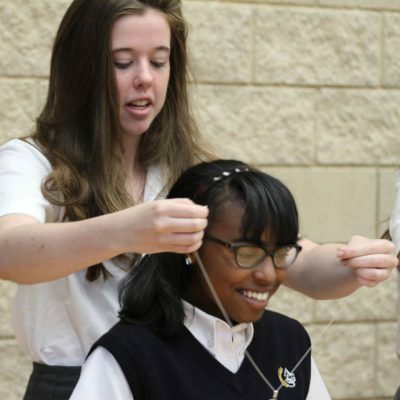 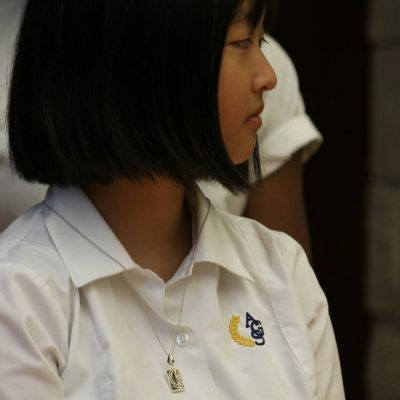 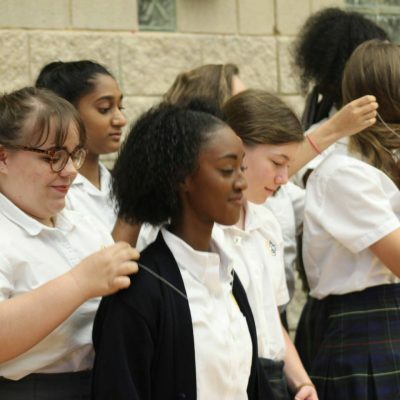 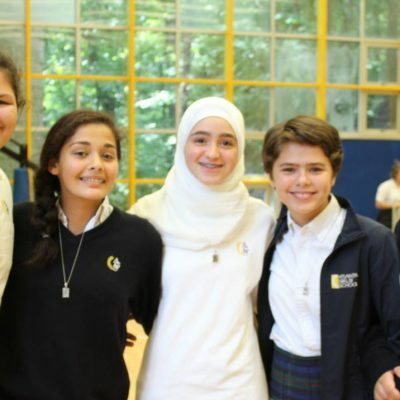 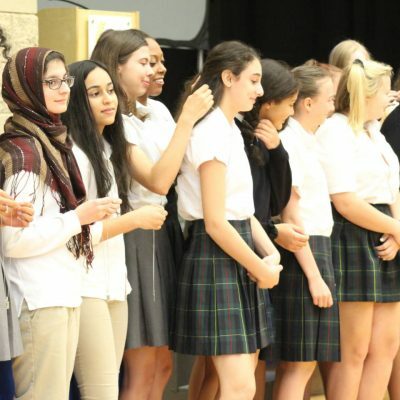 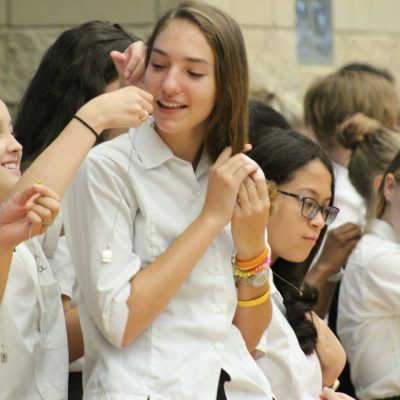 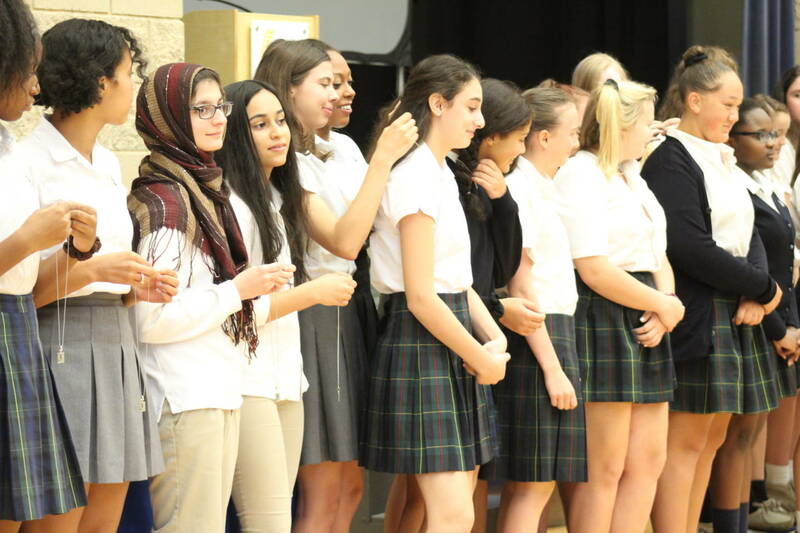 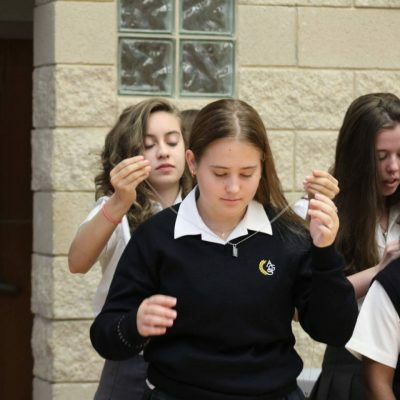 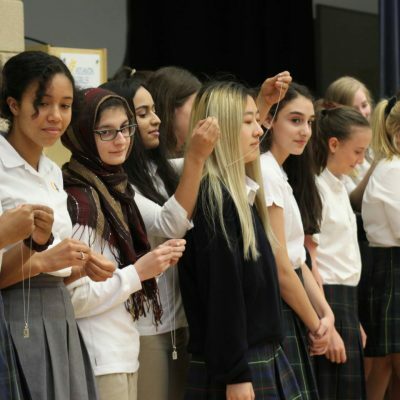 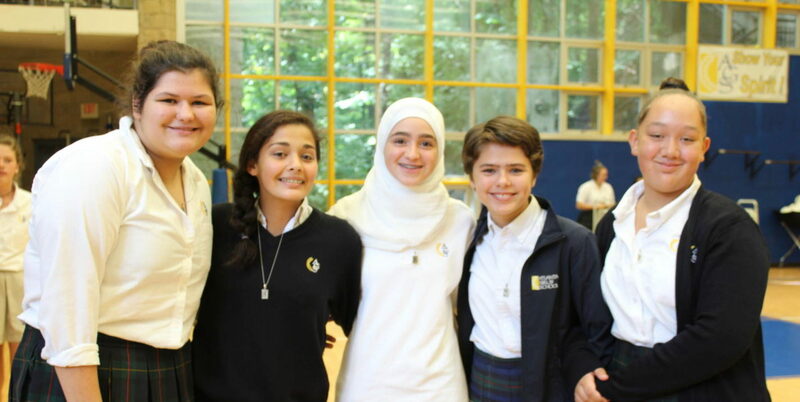 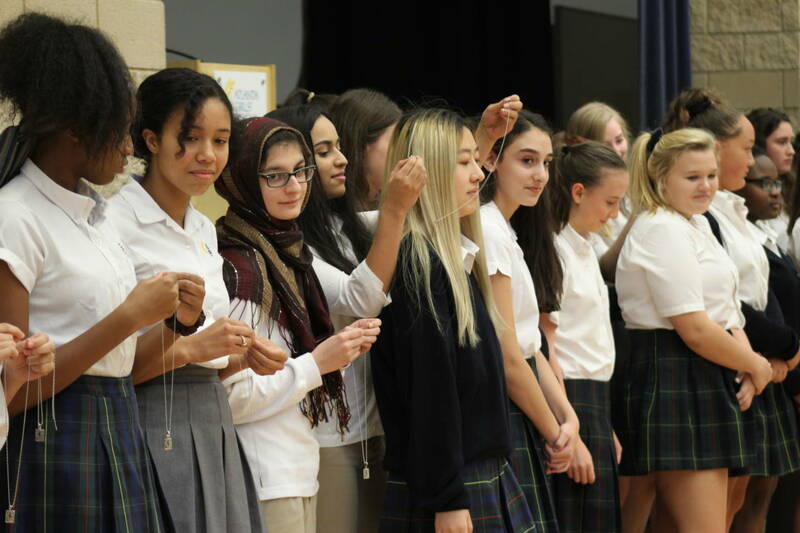 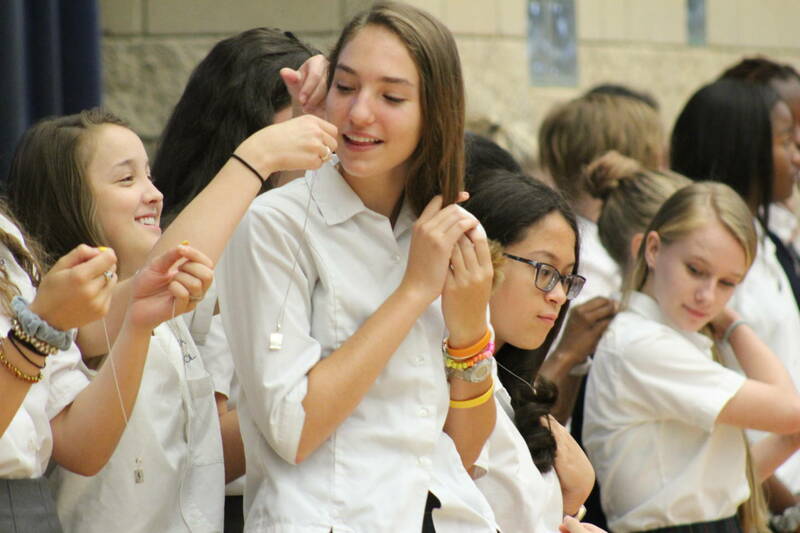 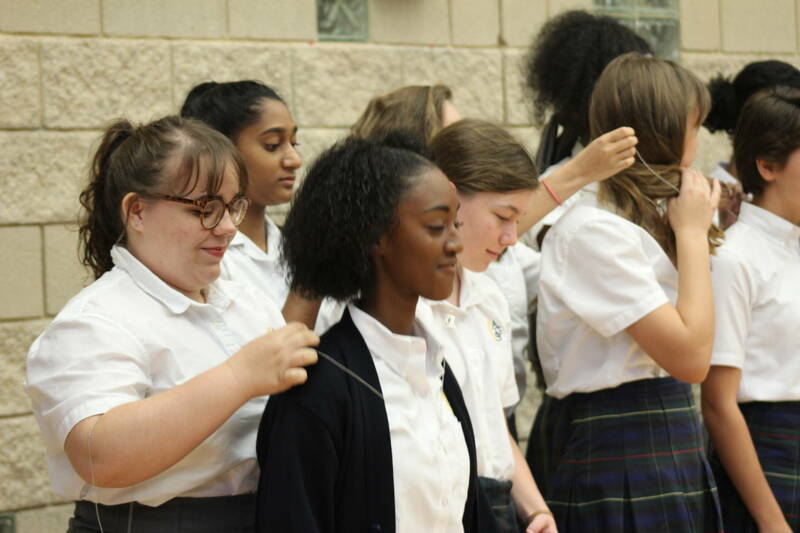 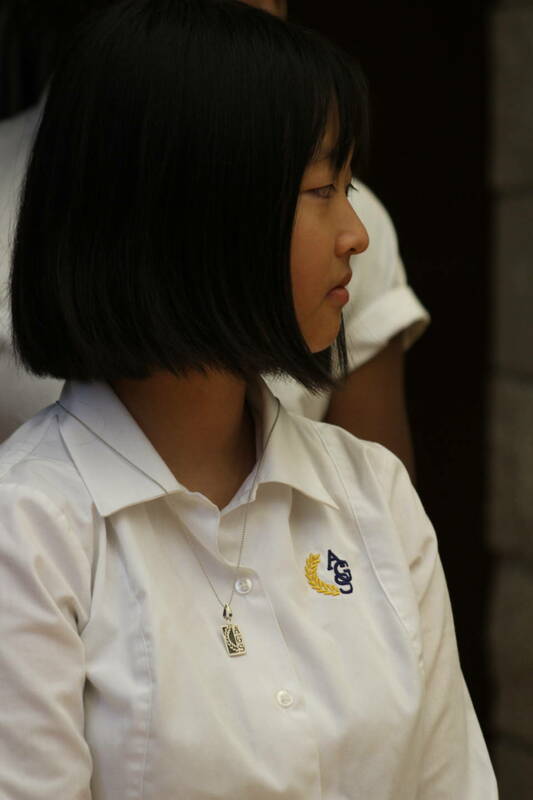 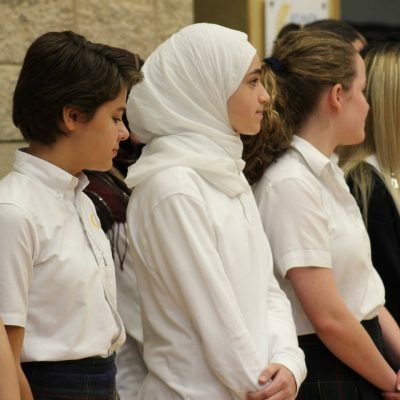 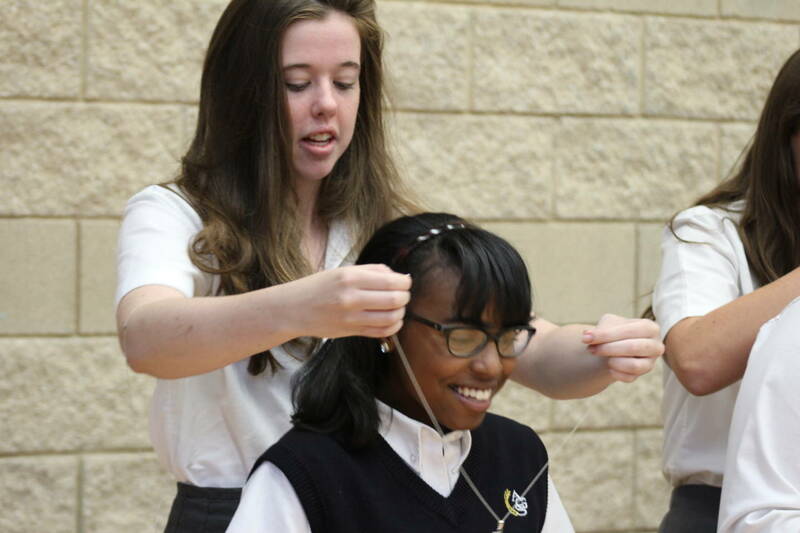 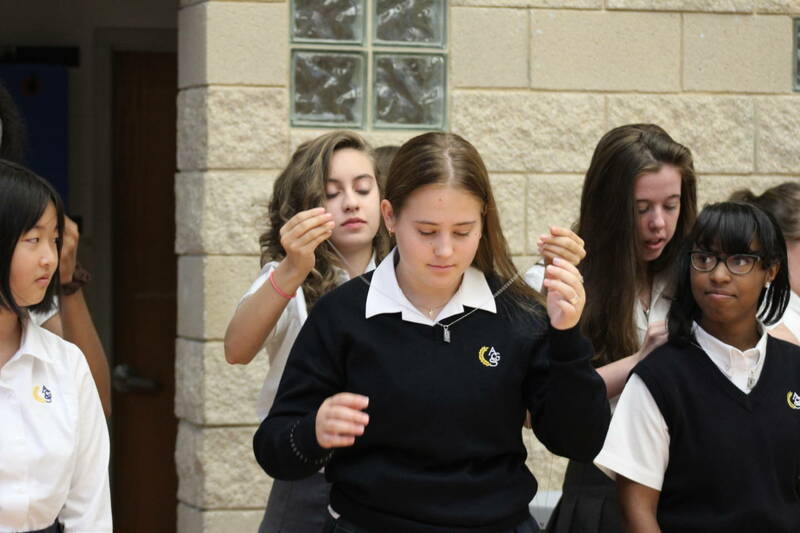 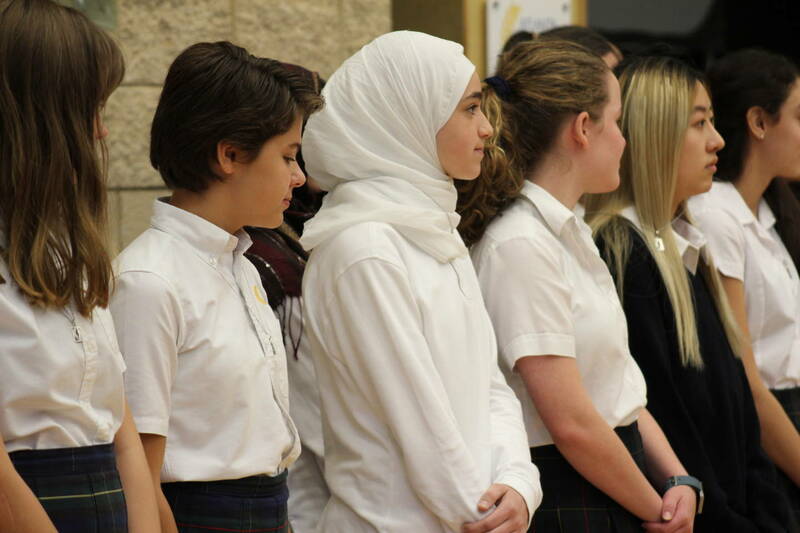 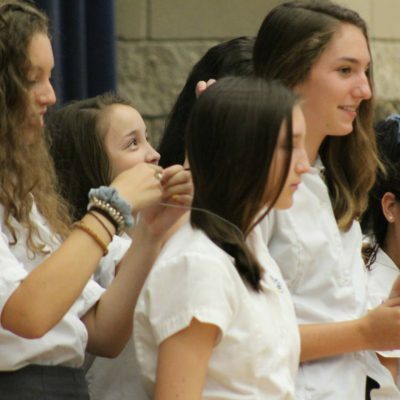 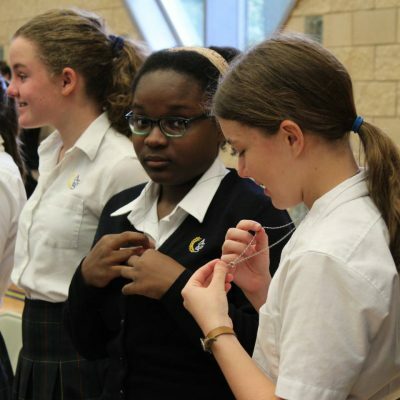 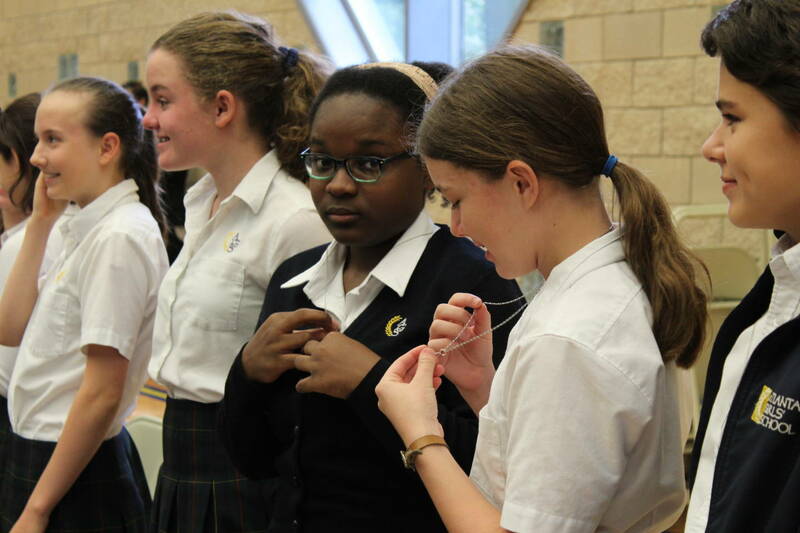 One of AGS’s treasured traditions is the awarding of the AGS Lavaliere to new Upper School girls. 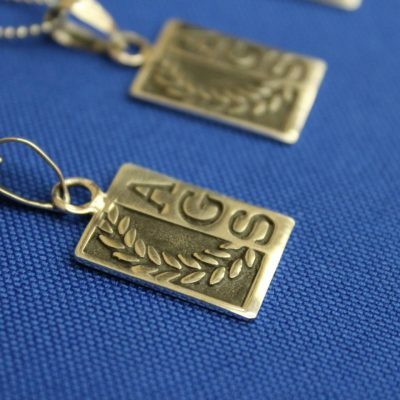 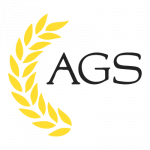 The pendent, graced with a laurel leaf wreath, is a symbol of the wearer’s commitment and loyalty to the ideals and principles of AGS and is an outward sign of the special sisterhood shared here. 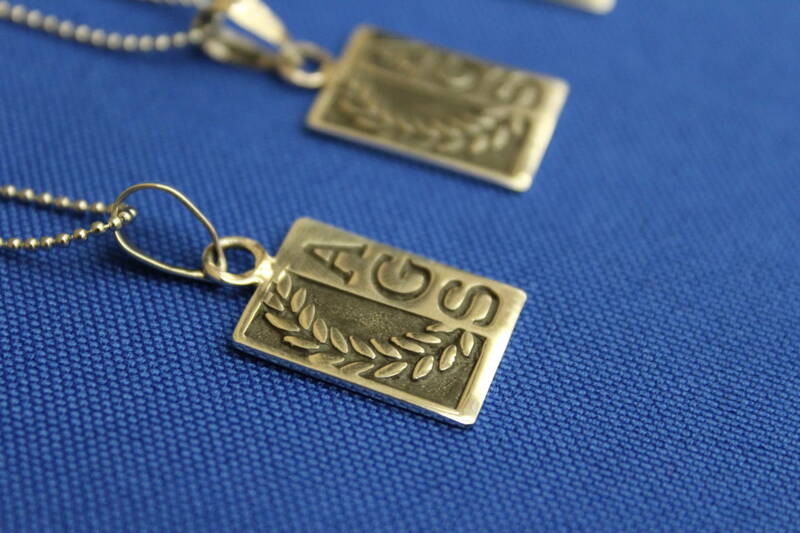 The Lavaliere reminds the girl of their community’s commitment to them and of their commitment to AGS.